How to rescue lost data from data disasters? Data disaster recovery solution is reliable way to get lost files back in most data loss situations. If you have deleted your files, formatted a hard drive or lost data due to system crash, data disaster recovery solution can solve all your data loss issues. Just read on, we will show you easy data disaster recovery solution in this article to help you recover lost data. Delete files and have emptied the recycle bin. Format a hard drive/device without backups. Lose data due to reinstalling OS, hard drive crash. Delete a hard drive without backup. Can't access to a partition or device on PC. Data disaster recovery solution can help you rescue lost data. First of all, let's introduce reliable data disaster recovery software – it is the key tool in data disaster recovery solution. DiskGenius is the mentioned data disaster recovery software in this article. It is simple, quick and powerful. This software supports to recover all types of lost files including photos, documents, videos, audio, emails, etc. DiskGenius is complete DIY data disaster recovery software. It has clean & simple interface. This data disaster recovery software not only can recover deleted/erased files, but it also can recover lost data due to formatting, hard drive crash, virus attacking, logical error, etc. It even can rescue your data from deleted/lost hard drive partition. Step 1 Download and install data disaster recovery. Download and install DiskGenius on your computer. Then open this data disaster recovery software. Step 2 Choose the hard drive to start data disaster recovery. Where you lose your data? Just select the right hard drive or device. Step 3 Scan the hard drive to find lost data. After selecting the hard drive, just click "File Recovery" and "Star" to scan the hard drive. 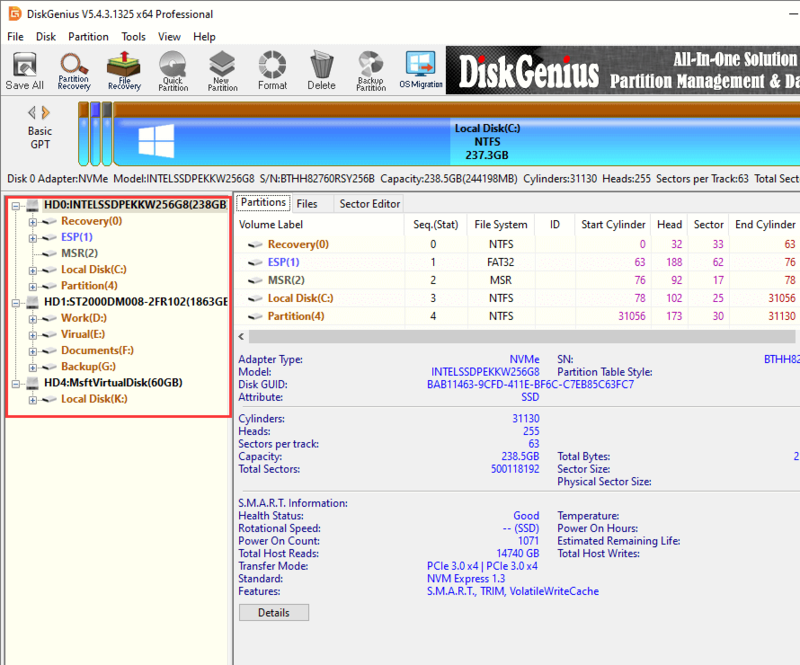 DiskGenius will deeply scan the selected hard drive and find all lost data. 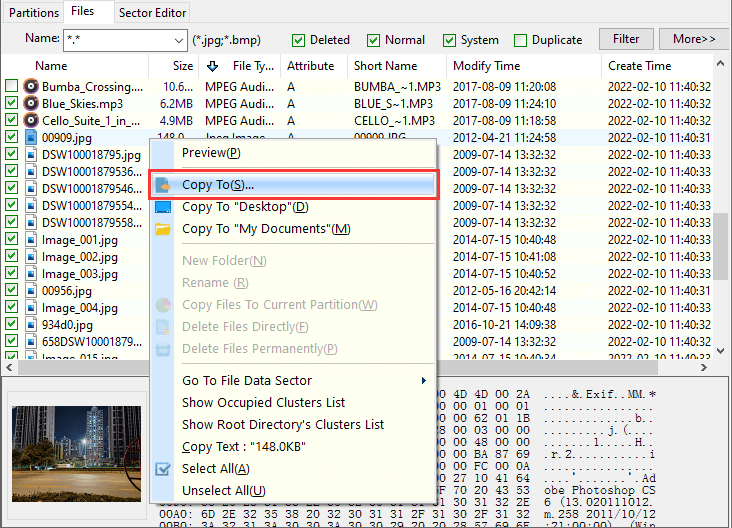 Step 4 Preview and recover lost data after scanning. Once the scanning gets finished, just preview and recover your lost data easily and quickly. DiskGenius makes data disaster recovery become easy and quick. It performs read-only data recovery on your computer so it won't cause any damage to your data. This is the safe data disaster recovery solution you are looking for. As you've seen, data disaster recovery software is easy and powerful. What you need to do is downloading this software and running it to scan your hard drive or storage media. Don't save data to the hard drive where you lose your data before you recover all lost files.